Augsburg are set to be without striker Sergio Cordova in the coming weeks after the Venezuela international suffered an ankle ligament injury during the recent international break. Cordova missed sat out Saturday's 2-2 draw at Hoffenheim as a result, with Augsburg head coach Manuel Baum later revealing the extent of the damage. "From what I've heard, he's torn ligaments," Baum told media. "How long that takes to recover depends on the player." 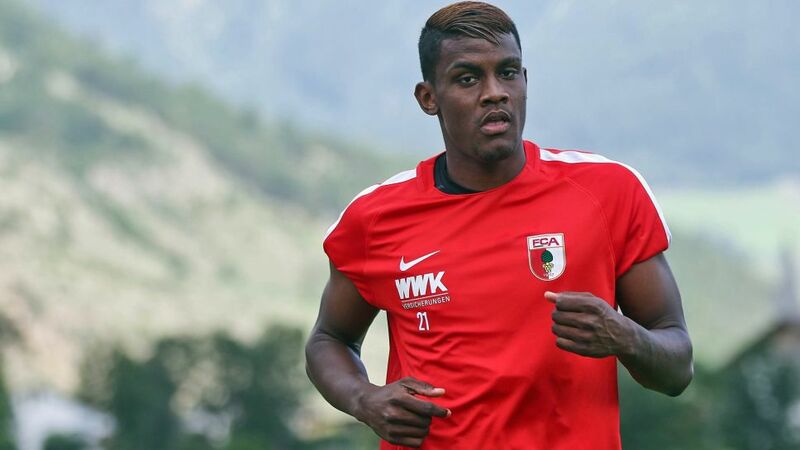 Augsburg sporting director Stefan Reuter elaborated on the matter: "I'm hoping he won't need an operation. If that's the case, he should be back in three to four weeks." Cordova has made seven substitute appearances in the Bundesliga since joining Augsburg from Caracas in the summer, registering one goal and one assist. There was further bad news for the Swabian outfit on Sunday, too, with Martin Hinteregger expected to be out until the new year due to ankle ligament damage. Seventh-placed Augsburg, who have made a club-record start to the 2017/18 campaign with 12 points from eight matches, host promoted Hannover next weekend.